This article attempts to understand Christianity from a Dharmic Indian perspective. शनिवासरः च रविवासरः च अवकाश-दिवसौ किमर्थम् ? सोल् इत्यस्य कर्षणं (“Soul Harvesting”) किम्? ख्रीष्टिय-मत-प्रचारकाः किमर्थम् “सोल्”-कर्षणं कुर्वन्ति? 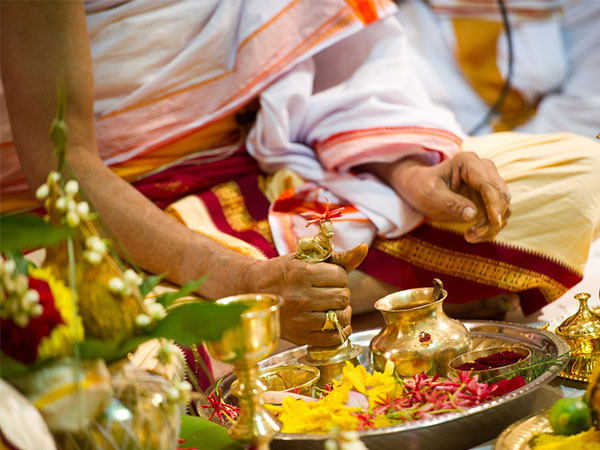 In the previous part we had explored the various aspects and aims of Dharma. With evidence we had suitably demonstrated that Dharma is not the same as religion, and that so-called God is not the same as our Devas and Devis. We should understand our culture using our own categories rather than relying on western categories. In the same way, we should understand Religion from a Dharmic Indian perspective. This practice of understanding the other has been known as Purvapaksha from ancient times. In this article we will undertake a clinical analysis of Christianity and its categories. Some interesting questions are being presented to our esteemed readers. What the answers are and whether they are based on science and reason is something to be debated. Why is Saturday or Sunday a Holiday? The earth is round and hence there should be no “up” or “down”. Yet Christians always talk about a “God above”. Why? Christian saints are said to perform unbelievable miraculous deeds. According to Vatican Church, Mother Teresa is said to have cured a cancer patient without treatment and medication. What is soul harvesting? Why are Christian Missionaries obsessed with Soul harvesting? The answer to all these questions are available in the Holy book of the Christians, the Bible. Therefore, the main teachings of Christianity are presented below. God created the Universe. God is different from His creation. God lives in heaven – the Kingdom of God. God created the world in 6 days. On the 7th day Saturday, He got tired and rested. Jesus Christ’s alleged resurrection happened on a Sunday. The Holy Spirit also descended on a Sunday. Hence Saturday and Sunday are holidays. God is angry and jealous. God detests homosexuals and atheists. God also hates non-Christians. Man is not a part of God, hence he has no divinity. Man is a born sinner and needs deliverance. Man can never evolve spiritually on his own accord. Jesus is the Son of God. He is the broker between man and God. Only Jesus can provide salvation to man. There is no other way, hence harvesting souls of non-believers is essential. As per famous public intellectual and scientist Richard Dawkins, God is an angry, jealous, homosexual-hater, atheist-hater and non-Christian-hater. Man is despondent born sinner with no prospects of self-attained spiritual evolution. Jesus Christ is the son of God and the mediator between God and Man. Christian saints possess miraculous powers, through which they can cure diseases which even latest modern medical technology cannot. As per Stephen Hawking, there is no place for reason, logic and thinking in religion. Only blind faith is required. Famous rationalist Christopher Hitchens points out that fear is also essential – fear of hell, fear of God’s punishment, fear of rejecting God. He who can reject such painfully oppressive and illogical belief system and accept Science and reason, is a true scientist and right thinking-individual. Consequently, almost all scientists in the West give up “Religion” and become atheists. This is also why “Science versus religion” is such a big debate in the West. On the other hand, in Hindu society which is based on dharma and has no such divide, historically many of the Brahmanas, who were associated with spirituality were greatest scientists as well. In the next part, we will discuss the core tents of Islam. Dawkins, R. (2006). The God Delusion. London: Bantam Press. Hitchens, C. (2007). God Is Not Great: How Religion Poisons Everything. Twelve Books. The world is round (oblate spheroid technically) and hence there is no concept of above or below. When the day of Pentecost had come they were all together in one place … And there appeared to them tongues as of fire, distributed as resting upon each one of them. And they were all filled with the Holy Spirit (Acts 2:1-4). Disclaimer: The facts and opinions expressed within this article are the personal opinions of the author. IndiaFacts does not assume any responsibility or liability for the accuracy, completeness, suitability, or validity of any information in this article. Subhodeep Mukhopadhyay is from a data science background and his research interest includes history, religion and philosophy. He is the author of “The Complete Hindu’s Guide to Islam” and “Ashoka the Ungreat”.